Are you looking for a better way to represent your career and life experiences? You can easily show them off with photos, videos and samples of work, however, you don’t need to build a website to have an online portfolio – LinkedIn is your answer! Your LinkedIn profile is more than just a boring online resume – adding images will enhance your profile. Studies have shown that websites with good quality photos are more trusted than those with no images or poor quality images and, according to urban legend, our brains process images faster than text! 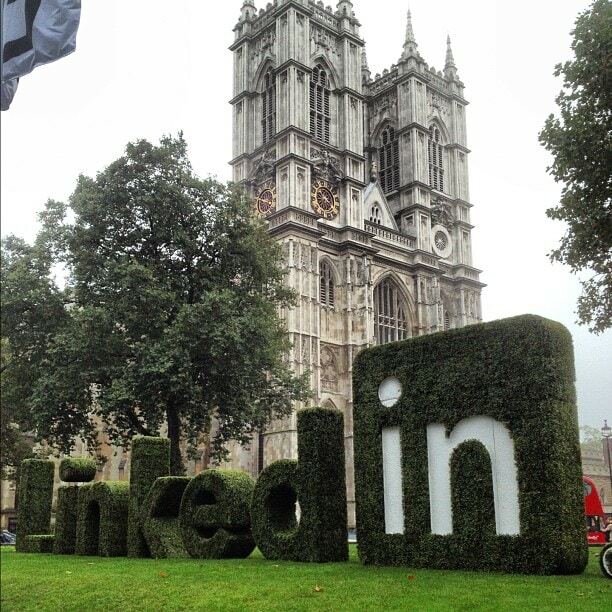 So by adding images to your LinkedIn profile it looks more credible AND you get your message across faster! Adding visual elements to your LinkedIn profile will entice, lure and garner the interest of people reading your profile. Most, if not all, LinkedIn users have the ability to add photos, screen shots, video and audio content to their profiles. What media can you add to your profile? LinkedIn says it officially supports images, presentations, documents, video, and audio by certain providers listed here. For example, if there is a YouTube video featuring you on a panel discussion or giving a presentation, you can link it to your profile. You can even upload files from your computer such as Powerpoint presentations, documents and images. What would you show during an interview to prove you have the skills to do the job? These are the images, articles and content you can create and publish yourself online. Think of your LinkedIn profile as an online portfolio! You will need to begin collecting screen shots and links that supply visual proof of your expertise, talent and personality. You may have letters of recommendation from people who aren’t on LinkedIn. You can scan them and upload the letter. Or take customer quotes from emails and create a testimonial document or presentation. Just be sure you either get permission or omit identifying information. Maybe you are a guru and creating Excel pivot tables. Film a screen cast showing how you convert the data and upload it to YouTube. Voila! If you don’t have anything, create it! You can create a Powerpoint highlighting your accomplishments or telling your story. If you want some ideas, search SlideShare using the term “visual resume” and see what other people have created. If you are interested in creating something a bit jazzier than Powerpoint, you may want to test Prezi.com. Search this site using the term “visual cv”. The options are endless. You can get ideas from corporate marketing campaigns too! Inspiration is all around you. Begin thinking about how you will market yourself and start clipping!